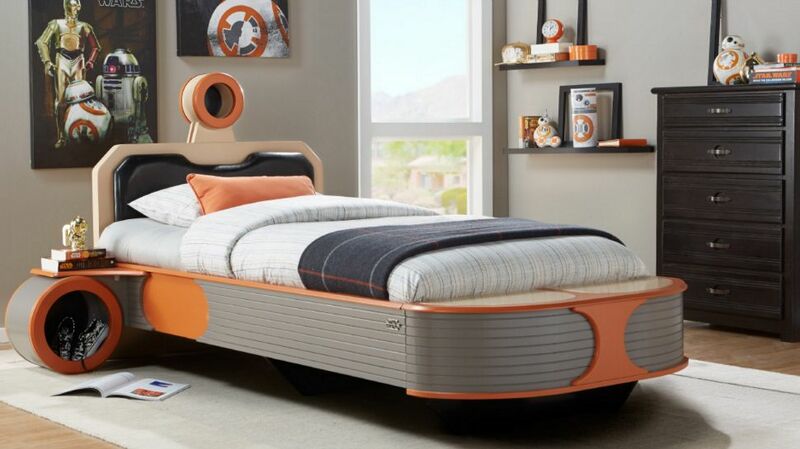 Good news, Star Wars fans: these are the beds you’ve been looking for. 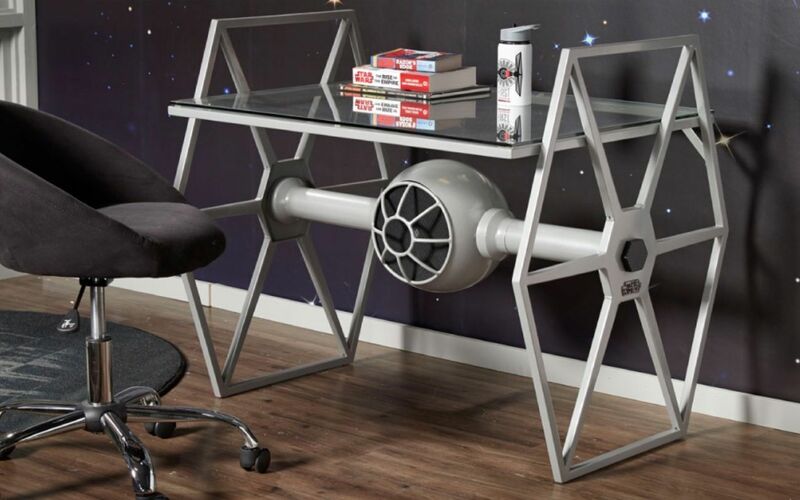 And the TIE Fighter desks too. 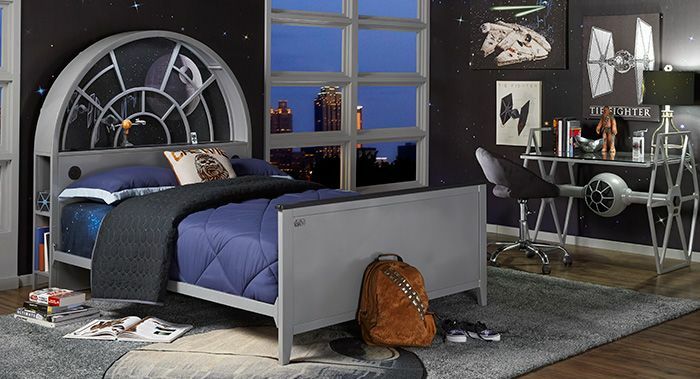 This licensed Star Wars furniture collection from Rooms To Go is styled after Star Wars vehicles, and includes smart ideas like hidden drawers, and, in the case of the Millennium Falcon Gray Bookcase Bed, built-in Bluetooth, speakers, audio controls, touch lighting, and a charging station. So cool, even Han would be impressed. Related: These Star Wars pumpkin ideas are set to stun for Halloween. 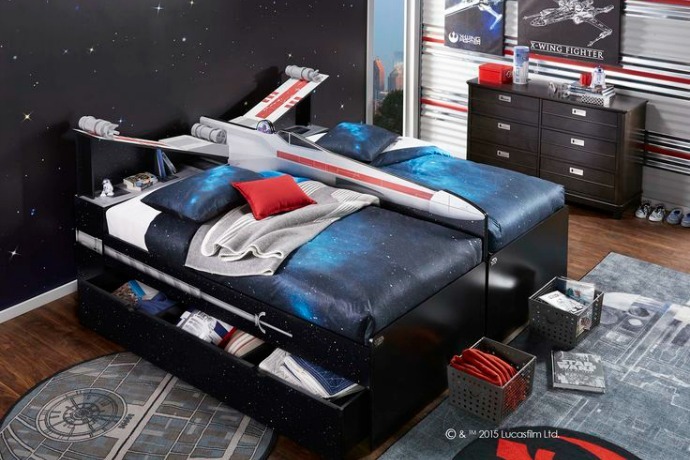 Beds are available in twin, double twin, and full sizes, and prices range from $399.99 for the TIE Fighter Desk to $1,199.99 for the X-Wing Side by Side Twin Bookcase Package. 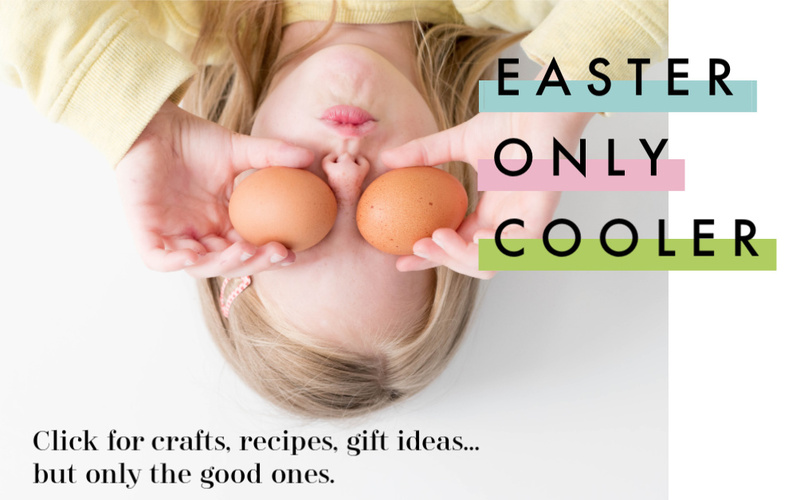 We don’t see any information on how hard the pieces are to put together or how sturdily they’re constructed, but as long as you’ve got better aim than a Stormtrooper, you can probably handle it. 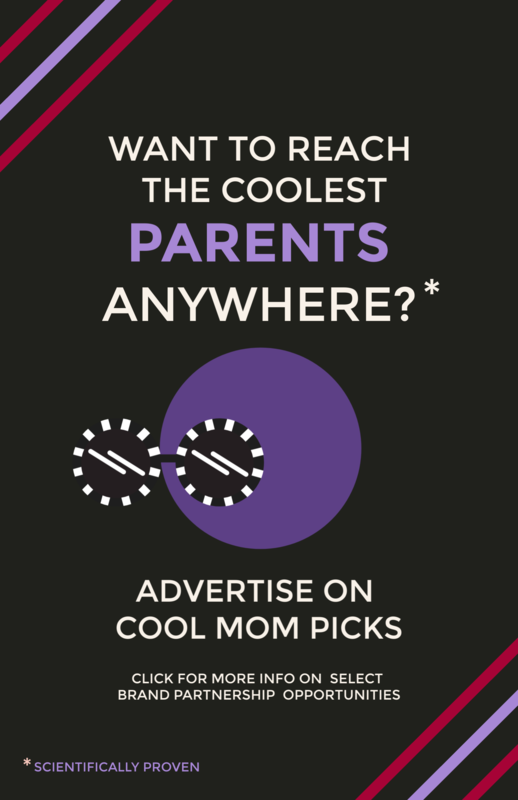 You can find this Star Wars furniture collection exclusively at Rooms To Go.